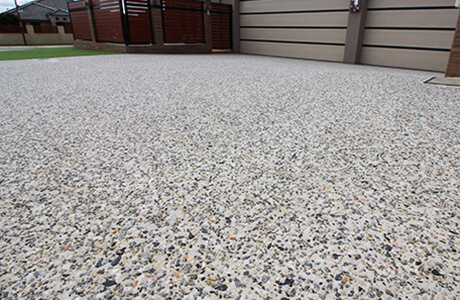 To achieve the lovely and unique look of exposed aggregate, we use a high end product to remove the top layer of concrete to reveal the mixed-in aggregate. 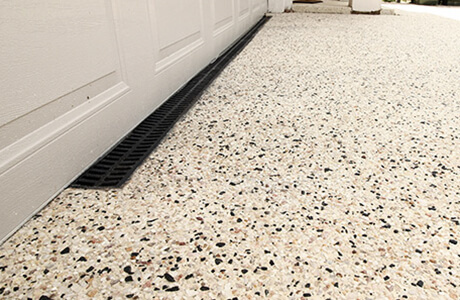 The kinds of aggregate available to create this type of concrete surface are almost limitless. Our expert designers create looks with more specific details by laying stones or other materials directly to the top of the concrete before the surface hardens. By using the exposed aggregate method, we assist our customers in creating a one of a kind blend to harmonise with the existing surroundings. The aggregate is mixed in with the concrete batch or set onto the surface, for a truly individualised look. Our design consultants can help you work through the designing phase, and offer you expert suggestions, so you will be sure to love the finished product. An additional benefit of using an exposed aggregate in your outdoor areas is that weeds and unwanted grasses will not pop up in your patio or walkways. 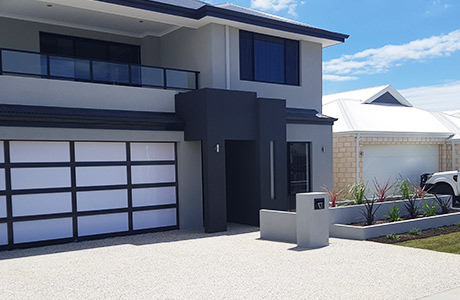 Making sure your new concrete driveway, pool surrounds or walkway is properly sealed is essential to the life and beauty of any concrete work. At Decorative Concrete WA, we give the same amount of care and attention to sealing your project as we give to every other part of our job. We use only the highest quality sealers available, those rated to keep out 99.5% of moisture. We see lower quality, less expensive sealers on the market which we will not use because we care about every detail of our craft. Sealers come in two main types penetrating sealers and topical sealers. 1. Penetrating sealers absorb into the concrete binding to it via a chemical reaction that takes place between the sealer and the concrete. The sealer is applied to concrete that is dry or slightly damp. The typical life span of penetrating sealers is five years. 2. Topical sealers are, as the name suggests, coatings which stay on the surface of the concrete. These sealers are typically epoxy/urethane blends that work on dry surfaces. The topical sealers give a brilliant shine to concrete and have a life span of one to five years.